Announcing jamsession.events, a web service allows you to find music jam sessions near users location. The site launched on 2nd May 2018, currently it is in the test period and it hosts jam session events of Athens and Greece, but aspires to host events from all around the word, allowing travelling musicians to find places to jam. Where 1,2,3 are some event ids. Near upcoming events to the given position, tagged with #jamsession and with start dates up to 15 days after, are retrieved with the above query and displayed in jamsession.events. 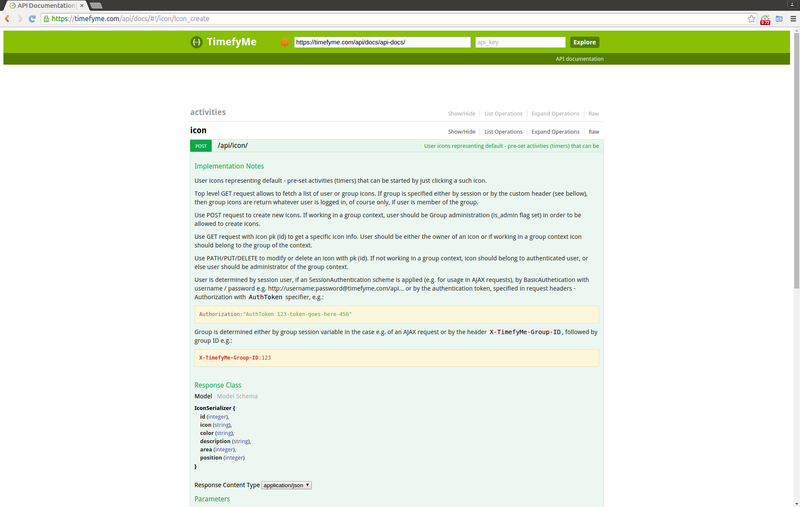 Ther is a similar site, femical.org that uses the same technique for building a single page web service that takes advantage the API of wikical.com. The later is a calendar of feminist events near user’s location. It is easy to build such services using the open data of wikical.com. User and communities (like the jamming musicians or the feminist organizations) can announce their events in wikical.com, then anyone may build new services that take advantage of the free and open access of wikical.com database. To help communities, soon we will release some free software to ease the creation of such services. Furthermore, user if wishes, can use the advanced search and displaying features of wikical, e.g. to create event maps like bellow (a map with the upcoming jam session events in Athens / Greece). Reports of timefyme.com feature a tag cloud representation. One of the most popular and useful ways to create a tag cloud is by calculating the logarithm of the usage for each tag. Using the logarithm rather than the original usage value results to a smooth gradation from the less to the most used tag. In order to implement the feature, we searched for a suitable algorithm in usual resources such as stackoverflow, but couldn’t find an approach that works for every data case (e.g. with few or just one tag). So we needed to go back and refresh our memories with interpolation methods we studied in numerical analysis undergraduate courses, to build the (simple to be honest) algorithm ourselves. We offer this algorithm we used and works perfectly for us, for anyone interested in tag clouds. Let’s assume that the tags usage is a vector , then the minimum and maximum usage values are and . we get a linearised value for each tag varying from 0 to 1. Then we can use e.g. to calculate grey (rgb) values or to multiply a cardinality of css classes. A Python implementation of the above methodology follows, code is also available for download. linear value resulting from logarithmic interpolation. # model represents blog posts and second models tags being used in posts. 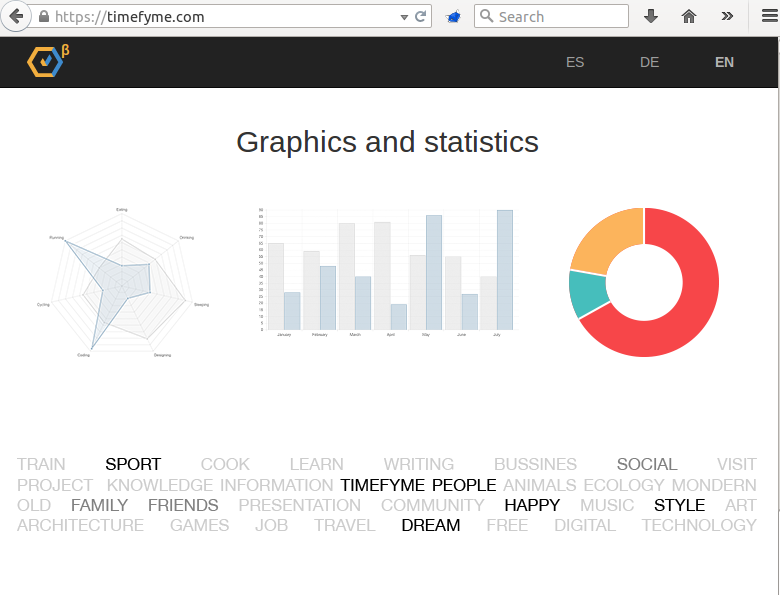 timefyme.com API is implemented with the amazing django-rest-framework toolkit. django-rest-swagger is used in addition to render nice API pages with full documentation. Documentation text is discovered automagically with django-rest-framework, by reading API endpoint view classes docstrings. When we started to build our API documentation system everything was working fine in development environment. However when we deployed to production site, although the API listing was there, documentation text was missing. The culprit was the -OO Python optimizations option used in uwsgi setup. Your Computer is Made Out of Magic! About ten or more years before I found this nice post and I am so happy that it is still there! http://james.hamsterrepublic.com/technomancy/ I suggest it for reading for anyone with some reserves of geek humour. It also gave me the necessary food to make the initial post of my blog. When I first read it I got my primary super-powers introducing me to the world of Open Sourcery and Voodoo Debugging. From then I practised a lot of Voodoo Debugging, but to be a honest magician, that didn’t help me to become a better sourcerer.. So I quitted Voodoo and I try to seek the true and pure software magic.